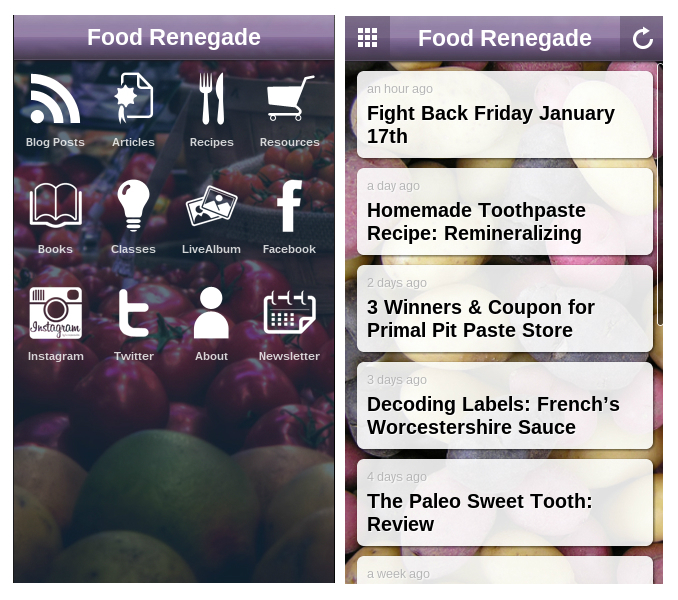 Food Renegade App Now Available — Don’t miss the community photos! Last month, I let my geek flag fly. How did I do it? I built a new custom desktop computer. One of my friends helped me build it, and while talking to him about exactly what I wanted my computer to do and how I planned on using it I had an epiphany. In 5 years time, the only people using desktop computers will be geeks, gamers, and grandmas. The rest of us will be entirely on mobile devices of some kind. Right now, nearly 70% of the traffic to Food Renegade comes via mobile devices — about 50% on phones and about 20% on tablets. Just a year ago that number was at about 30%. You see my point? Mobile is the future. Because of that, I’m excited beyond words to announce the arrival of a Food Renegade app! The latest blog posts, with notifications to let you know when a new post is published. Full recipe index (mostly grain-free, all 100 percent real food). 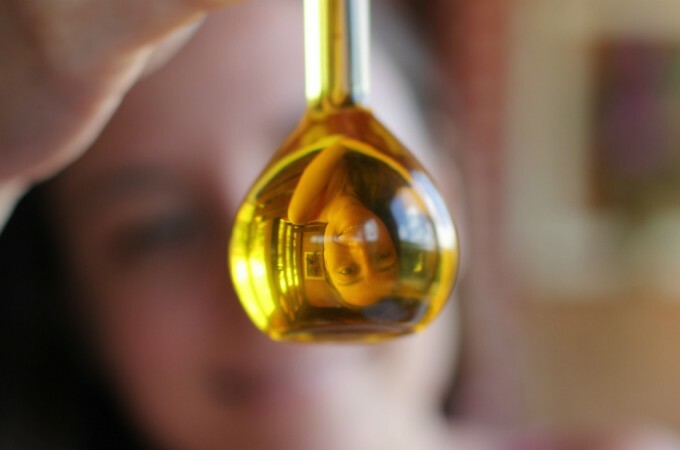 Online shopping guide (my sources of choice for everything from coconut oil to toothpaste). 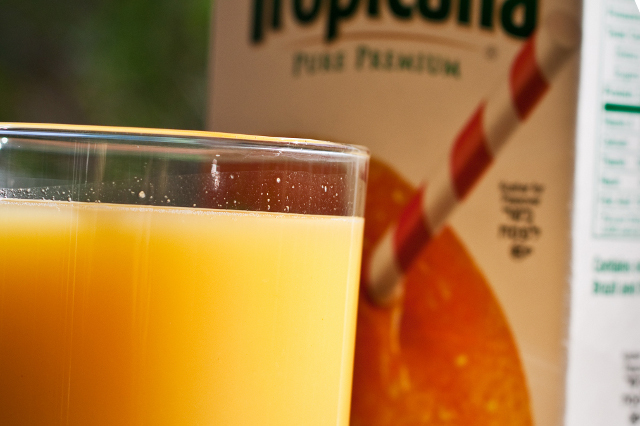 2 community photo albums (upload and share photos of real food and fellow foodies). Food Renegade’s Facebook, Instagram, and Twitter feeds all in one place. In other words, this is THE one stop shop to stay in touch with Food Renegade. The part of this app that has me most excited, though? Community photo albums. We can share photos of our dinners, photos of our farmers, photos of our real food kids helping us in the kitchen. It’s a chance for us to truly get to know each other and form an inspiring community of educated, empowered people. 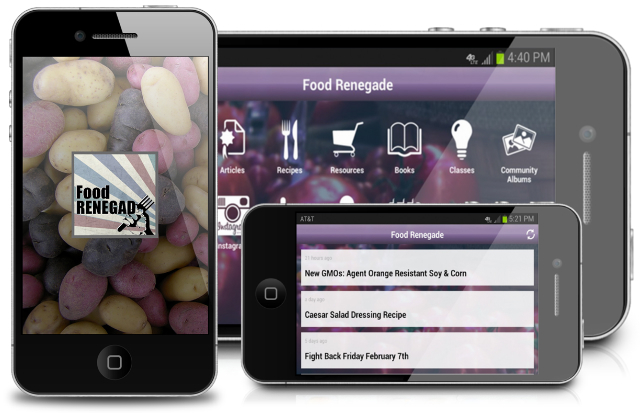 Get the Food Renegade App today! Please note: Downloading the app costs $0.99. This small fee ensures that the app is entirely ad-free and pays to keep it in the app stores. P.S. This app has recently been updated to add new features. As such, the screen shots in the app stores are a bit outdated. I’m trying to get recent ones up there, but it’s a many-stepped process that takes a while. Thanks for your patience! Will you make it available for Windows Phone? Yes, please make one for Windows Phone!! I may be able to pay someone to wrap the HTML5 app you accessed, T.J. in the appropriate C# code so that it can act as a hybrid app that loads on Windows phones & tablets. I have to find a developer who can do it and see how much they think it’ll cost, then figure out if it’s worth that cost just to be in the Windows marketplace. I’d enjoy a Windows Phone App as well. For future, if you develop this app in HTML 5 you can use it cross platform w/o maintaining multiple code bases. Food for thought…. I started to download the app. But then I saw that the app needs: 1) my precise location via GPS (why? ), 2) camera to take pictures and videos (why? ), 3) phone calls to read phone status and identity (why? ), 4) system tools to test access to protected storage (why? ), 5) you accounts to find accounts on the device (why?). I want to download but I’m nervous. Why does it need these permissions? The app is designed to integrate with other services (like Facebook and Instagram). Because those apps require these permissions, mine does too. It also has a community photo album feature so you can upload photos of your food. This requires access to your camera and device storage info. Any chance you’ll have this app on the windows store? Same thing that previous poster, Melissa was experiencing. Not showing up in the App Store at the moment. Love all your info & recommendations tho. And a lot of times I prefer mobile (or full) sites to apps anyway. Your site looks great on an iPhone 6plus with no noticeable difference from the desktop experience. On a side note I’m surprised by all the interest for a Windows app. Happy to see the market growing tho. Yes, I cannot find it in the App Store. site. He was entirely right. This publish actually made my day.